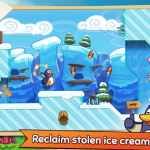 Penguins’ ice creams have been stolen! 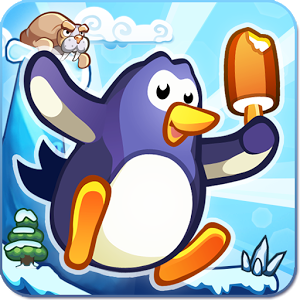 Hop through dangerous lands and follow a trail of ice creams to catch the thief and reclaim the treasure.Hopping Penguin is a cheerful platform game with intuitive one-touch controls. 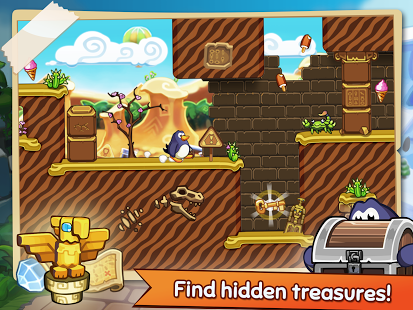 Jump, run and smash your way through the games more than 50 carefully crafted levels! The experience is a unique combination of challenging platforming sequences and exciting exploration. 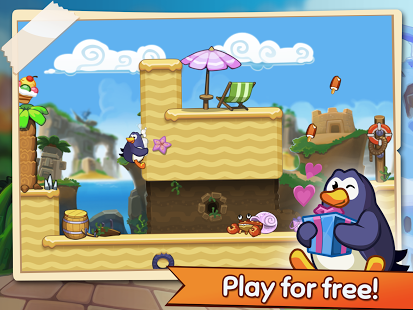 Download now and begin your ice cream filled adventure! ★ Record and share your gameplay videos with Everyplay! 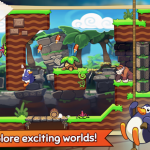 This penguin game cleverly combines the best features of platformer and endless runner games to give you a new kind of challenge. 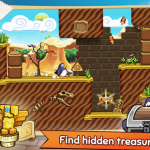 Don’t let the cute mascot fool you; the optional bonus levels can be surprisingly hard and finding the lost secrets and hidden treasures will challenge even the veterans of platform games. 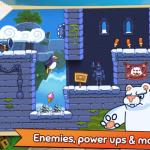 Levels range from easy to nearly impossible. Jumping from platform to platform might get super challenging at times, but the game never feels unfair. 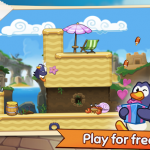 Hopping Penguin can be enjoyed by kids as well as adults. The suits children over 3 years old so it’s the perfect kids game! Note: The game is free-to-play. All in-app purchases are optional! 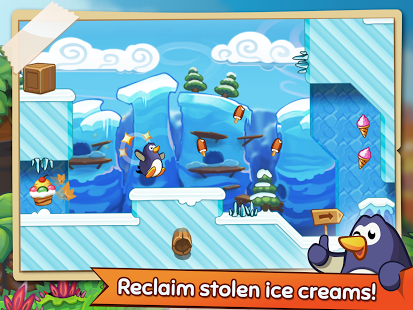 The ice cream rush starts when a mean thief steals penguins’ precious machine. 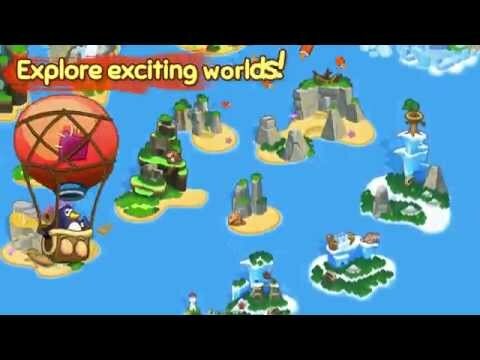 Our brave hero has to dash after the villain flying with a hot air balloon through the exotic worlds to get its’ treasure back. 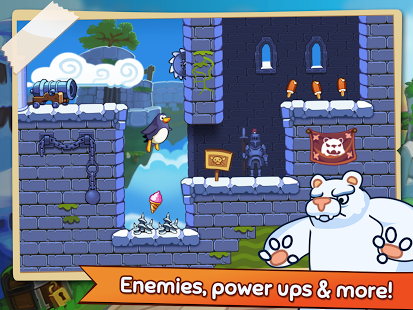 After hopping half way across the world the penguin reaches the thiefs’ hideout, a castle floating in the air. How will the adventure end? 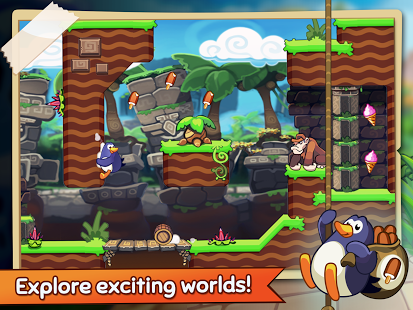 You’re just a penguin jump away from the coolest adventure on mobile. Download NOW!